Constant seek for higher feed efficiency. 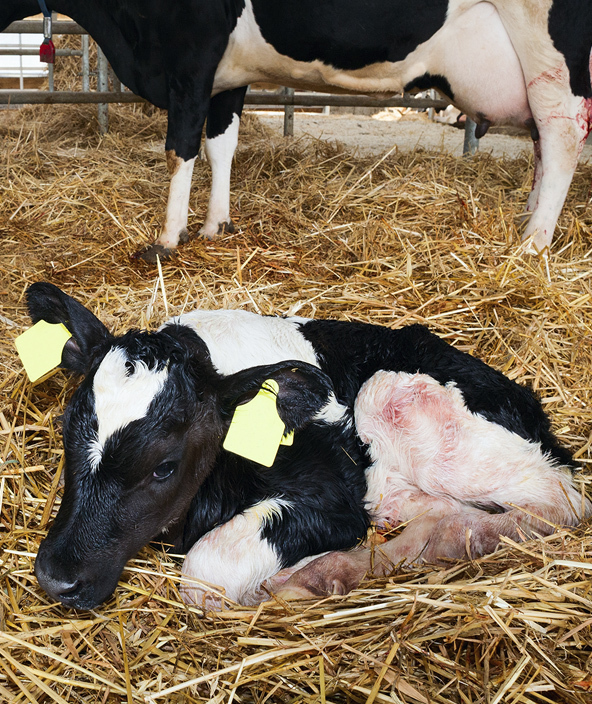 These technical challenges affect directly the ruminant health and well-being, noticeably during the most stressful periods: the early life stages of the calf and the cow transition period and early lactation. Calves are often subject to stress and disease, making a good nutrient and cow-calf management strategy a must. The immune system of calves at birth is somewhat developed but still very immature and digestive problems are common in calves between birth and weaning. Different types of stress and mycotoxins can make beef cows suffer from reduced feed intake, reduced reproduction and reduced immunity. These elements combined with the increasing regulation that restricts the usage of antibiotics is a serious challenge for the beef industry. Stress resulting in oxidative stress is linked to higher somatic cell counts, lower milk yield, poorer reproduction performance, mastitis and metritis. A multi-functional approach to maintain and stabilize the health of the cow naturally is our aim.